On Sunday, October 6, the Bronxville Historical Conservancy’s annual boat cruise headed down the Hudson River around lower Manhattan, up the East River and into Long Island Sound. 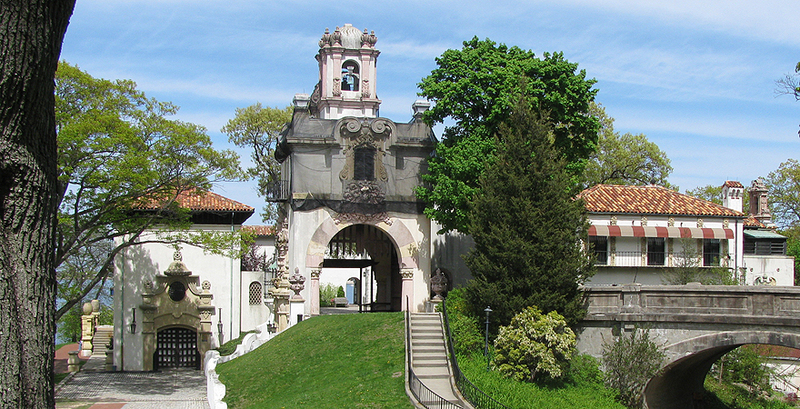 This year’s destination was Eagle’s Nest, the estate of William K. Vanderbilt II in Centerport, NY, on Long Island’s Gold Coast. Nearly 120 Conservancy “voyagers” toured Vanderbilt’s museum that contains 12,000 documents and 30,000 artifacts. An accomplished sailor and naturalist, Vanderbilt traveled the world collecting and cataloging marine and natural history specimens (butterflies, birds, shells, mammals and fish), and ethnographic objects (firearms and swords, ship models, and European, Asian and African objects). Following the museum tour, seven docents then guided the group through the sprawling mansion, chronicling Vanderbilt’s life and family while describing the extensive collection of antique furnishings and fine art. The round-trip voyage was a great success, by all accounts — fascinating Eagle’s Nest, panoramic views of Manhattan from the Hudson and East Rivers, and the good company of fellow Bronxville Historical Conservancy members.